Evernote has updated its recently launched app for the BlackBerry 10 platform with new features, alongside speed improvements and two-step verification. Among the new features is the ability to insert checkboxes into notes – handy when making lists – and support for attaching pictures and audio recordings to your documents. 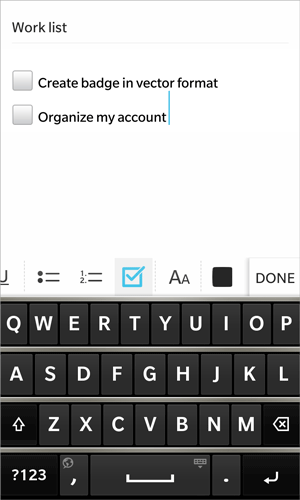 The company says the update also brings more responsive performance, and combined with two-step verification for added security, shows that Evernote is serious about keeping its BlackBerry 10 offering up to scratch.